What am I looking for in peanuts for boiling? I have no clue which peanuts I need to boil. I am trying to eat the healthiest, most nutritious peanut, and easy to digest. I live in Maine, and not sure where to buy peanuts for boiling. Can you be more specific as to where to buy, and which item? The Healthy Home Economist suggested your website for boiled peanuts. Not sure if roasting is right for me if I am trying to get the most nutrition, and easily digested. Looking for a new snack, and I would love to try boiled peanuts. Appreciate your help. Is it possible to get a reply via email as well? Either way I appreciate your answer. Comments for What am I looking for in peanuts for boiling? Ask for "raw peanuts in the shell" if you want to buy peanuts for boiling. 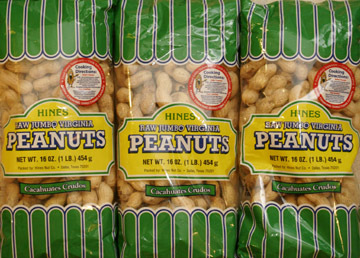 I've posted pictures of 2 brands of raw peanuts in the shell: Hines, and Hampton Farms. 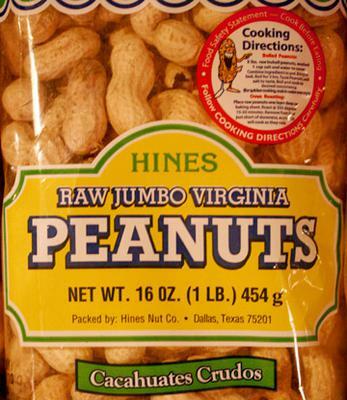 In many areas these brands of raw peanuts are sold at Walmart, and grocery stores. You may also find raw peanuts at health food stores in your region. These two brands are just examples, there are many other brands of raw peanuts in the shell. 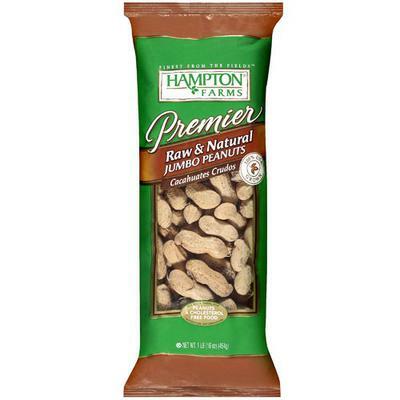 If you can't find in-shell raw peanuts locally, google raw peanuts in shell to find online dealers. I've gotten raw peanuts in the shell from Jerry's Nuthouse, and they were delicious both boiled, and roasted. See "Peanuts in shell raw" on that page. Boiled peanuts have higher levels of antioxidants than roasted peanuts. Boiled peanuts are softer, and have a higher moisture content than roasted peanuts, thus may be easier to digest. I get them at Good's Feed Mill in Fivepointville. They have them by the hundred pound bag or as small as 3 pound bag.